There has been surprisingly little coverage of the upcoming presidential elections in Ukraine given their importance not only for Ukraine itself, but for European security as a whole says Dr Alexander Titov. Most of the attention has been on the lead in the polls by a comedian Volodymyr Zelensky, who emerged as a surprise frontrunner in this Sunday’s first round of presidential elections. Experienced politicians, including the incumbent president, are fighting it out for the second place in the vote, where only two top candidate go into a run off in few weeks times. Yet, regardless of who eventually wins, these elections are taking place in a country in the grips of a profound crisis which barely registers in Western public’s mind. The basic issue is poverty. According the IMF, Ukraine is now the poorest nation in Europe. 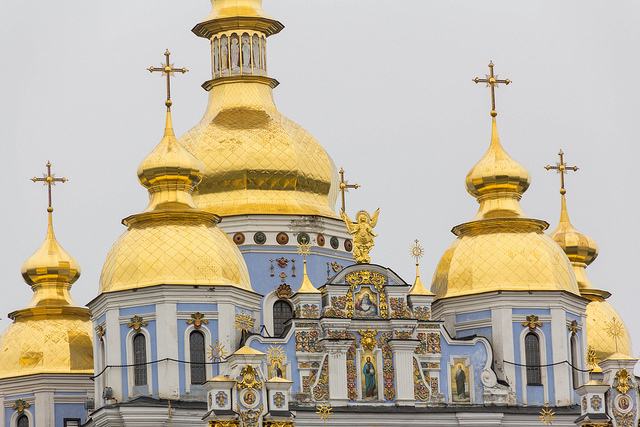 Ukraine’s gross domestic product (GDP) per capita was $2,964 in 2018, which is a third of Russia’s ($10,950). It’s less than a tenth of UK’s GDP. Despite modest economic growth in recent years, it’s still far off from levels seen before the Maidan revolution and the ensuing conflict with Russia started in 2014. Even with robust growth, of which there’s no sign so far, it would take Ukraine decades to catch up even with Russia, let alone the EU countries in its neighbourhood. The second problem for Ukraine is the endemic corruption, which has remained despite the Maidan revolution prominent anti-corruption slogans. The perception of corruption has got even worse since the ouster of President Yanukovych in 2014, leading to unprecedented levels of mistrust of government and state institutions among Ukrainians. A recent Gallup poll found that only 9% of Ukrainians have confidence in their government, the lowest level in the world for the second straight year. This is far below the regional median for former Soviet states (48%) as well as the global average (56%) in 2018. The question is how long can this go on for before the popular angers explodes once more. The third issue the mass emigration from Ukraine. Some 4.5 million Ukrainians are working abroad. That is almost a quarter of its total labour force. There is no prospect of any serious economic growth in Ukraine with so many people of working age residing abroad. This is in addition to Ukraine already having one of the lowest birth rates in Europe. Finally, there has been a rise of ethnic nationalism and attacks on civil liberties over the last few years. While some argue that it’s a necessary correction after years of Russian oppression, in reality the state policies on language, religion, historic memory and freedom of speech are such that they move Ukraine away from the European democratic norms necessary for EU and NATO membership, something which the current Ukrainian membership is officially aspiring to. One (the only?) redeeming feature is that Ukraine still has competitive elections but that’s not to say they are fully free, necessarily fair, or particularly democratic. The long list of problems with Ukrainian democracy include the dominance of oligarchs over the media and political parties, and endless attempts at electoral fraud and bribery. These include the so-called ‘Setka’ where state funds are distributed to Poroshenko’s potential voters under the guise of welfare payments, or te registering of fake candidates to confuse voters. For examples, Yulia Timoshenko, one of the two main rivals of the current president, is next on the ballot list to Yurii Timoshenko, a complete unknown registered as a candidate in the hope of Timoshenko’s supporters casting their votes for him by mistake. It’s not surprising that the upcoming elections don’t inspire much trust with only 12% of Ukrainians saying they have confidence in the honesty of elections. All this should really ring alarm bells in the West which, since 2014, has committed itself to seeing Ukraine emerge as a viable, stable, developing democracy. Instead, there is the absence of any clear strategy either by the US or the EU towards Ukraine. The West has evidently given up any serious attempts to encourage Ukraine to fight corruption or conduct any far ranging reforms, or to make sure the authorities protect minority rights. A lukewarm support will continue for whoever wins, provided it’s not an outright pro-Russian candidate. That hardly amounts to a strategy though. It shouldn’t be a surprise, then, if the whole thing blows up again in a few years time, plunging the region and West-Russian relations into another crisis. There are no easy solutions here, but one step would be for the West to show that, regardless of who wins on Sunday, they will be no longer able to count on the West’s unconditional support in its conflict with Russia. That support, of which more should be pledged, should depend on some real steps to sort the ever deeper mess the Ukrainian elites are digging themselves into, their country, and the rest of Europe. 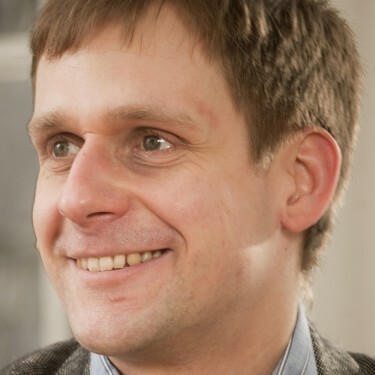 Dr Alexander Titov is a lecturer in the School of History, Anthropology, Philosophy and Politics at Queen's University Belfast. His research interests include Russian foreign policy, Russian politics, Modern European History, International Relations, Intellectual History and Nationalism. Russia’s Pension Reform: Beginning of the End of Putin’s Regime?